Husban’s X4 107L is a beautiful enhancement over its earlier model, the H107. 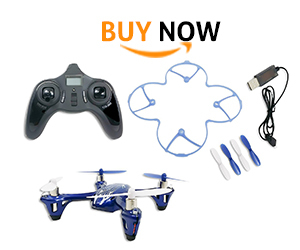 This pocket-portable Unmanned Aerial Vehicle (UAV) is an excellent flight model for beginners and kids. 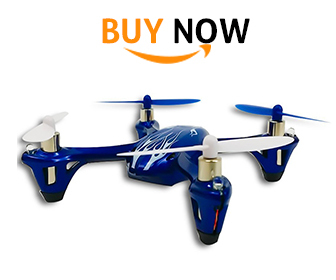 The small size makes it ideal for flying indoors; its powerful motors, high maneuverability, and 100-meter flying range allows it to be flown and enjoyed outdoors with ease. 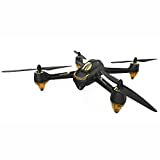 The light weight and extra protection received with the included blade protection guard imparts ruggedness and durability to the Hubsan’s X4 H107L “pocket drone”. The product also looks stylish with its glossy royal blue color and the dual-colored blades. The flashing LED lights in red and blue color impart a touch of class to H107L & help with its navigation also. It has the capability to perform barrel rolls, backward and forward flips and banking maneuvers in flight. Just select between the ‘normal’ and ‘expert’ mode in the receiver provided according to your skill level and enjoy the performance! The product can be shipped in gift-wrapped condition and contains the parts mentioned below. The product is small in size, with the dimensions of 3”x3”x1” yet does not suffer in performance during flight. The size makes it an ideal plaything for your kids indoors, or carry it in your pocket on the family trip or picnic spot for fun and enjoyment. The product is also lightweight with 1.1 pounds after assembly, yet the sturdy design and the extra protection provided by the blade protection guard make it survive multiple crashes. The LCD transmitter is included with the product and comes with trim adjustment buttons in digital mode. The powerful coreless motors provide a flight time of 6-8 minutes with a fully-charged battery. The LiPo battery takes around 45 minutes to recharge fully and you can experience its full range of flying capabilities. The light weight and aerodynamic construction of the Hubsan’s X4 H107L LED with Propeller Rotor Protection Guard UAV provides a host of advantages for the pilot as mentioned below. Some simple precautions mentioned below can increase the H107L’s life span dramatically. 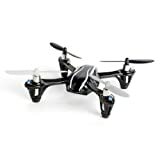 The X4 H107L is an excellent product at under $50; it is pure fun and enjoyment of remote-controlled flight with your family and friends anywhere you choose!